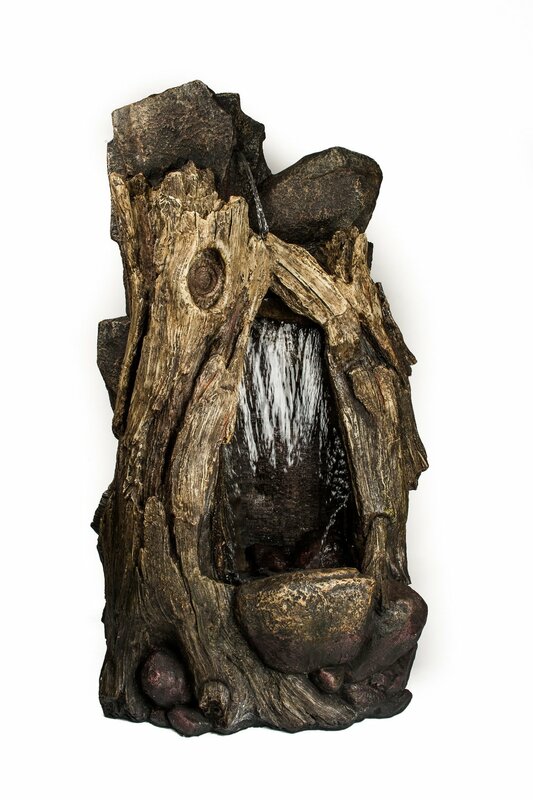 The Large Log and Rock Fountain stands 133cm tall and is an impressive feature. The water rises up from the top-most rocks and falls into the hollowed tree stump and into the base below. There is a LED light in the base of the water feature, the water feature is made from fibreglass and includes pump and LED lights.